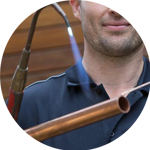 Concerns about plumbing issues are now a thing of the past, thanks the Handy Squad’s reliable and efficient team of Plumbers in London. We have been expertly serving the capital for over a decade, making sure we take a customer-centric approach with everyone we work with. Our large-scale network of plumbers means every corner of London has been covered. 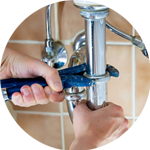 That means we have a Plumber in Putney available for contact right now. 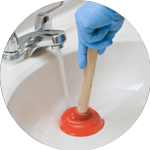 They will be at your doorstep in no time at all, ready to provide the best London Plumbing service around. Their level of expertise is unmatched, which means both simple and arduous tasks can be completed with ease. Whether you need you need help with changing a tap washer or assistance with installing white goods into your home, we have the knowledge to get these jobs done. Putney is a district in the south-west region of London. Since the second half of the 19th century, Putney has been one of the most significant centres for rowing in the United Kingdom. 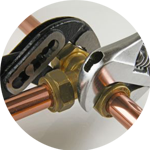 London Plumbing is only the beginning when it comes to outstanding trade services provided by the Handy Squad. We also have specialised teams for: decorating walls, carpentry, home make overs and locksmiths in London. If you need someone with an all-round knowledge of both DIY and maintenance, we have a team of Handymen in Putney. They can handle anything with ease, making sure work is done within suitable time-frames and at fair prices. Another common issue for people living in London is anything related to electrics. This is prevalent in both domestic and commercial buildings, which is why we have a large team of Electricians in Putney waiting for your call.